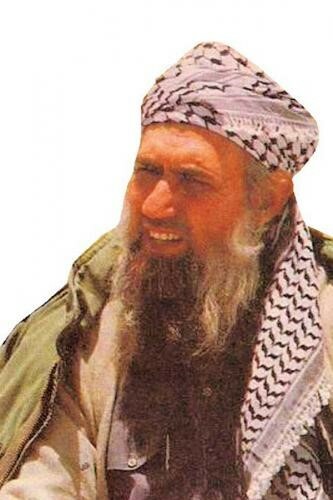 Palestinian-born Islamist Dr. ‘Abdullah ‘Azzam (1941-89) played a leading role in promoting and developing the modern Islamist concept of jihad. Little known in the West despite lengthy stays in the United States, ‘Azzam was responsible for internationalizing the Islamist struggle against secularism, socialism, and materialism. Though a scholar, ‘Azzam took his campaign to the front lines of Afghanistan during the Afghan-Soviet war, organizing the agency that would evolve into Osama bin Laden’s al-Qaeda. In many ways the life and work of ‘Abdullah ‘Azzam have already made him one of the most influential figures in modern times. As forms of jihad erupt from Algeria to the Philippines, it is important to understand the man whom so many mujahidin cite as their inspiration. By tracing ‘Azzam’s thought through his most important influences, mediaeval scholar Ibn Taymiyah, Muslim Brother Sayyid Qutb, and Egyptian radical Muhammad Faraj, it is possible to see how the Shaykh’s ideology transformed radical Islam from a group of disparate movements defined by national borders into a potent (if scattered) force in the international arena. This was the uncompromising answer of Shaykh ‘Abdullah Yusuf ‘Azzam to the encroachments of the Western and communist worlds into Islamic lands in the 1980s. Shaykh ‘Abdullah’s militant interpretation of the Islamic doctrine of jihad1 contributed to the success of the Afghan mujahidin, and has been an inspiration since his assassination in 1989 to a new generation of radical Islamists, including Osama bin Laden’s al-Qaeda organization and ‘Ayman al-Zawahiri’s Islamic jihad group in Egypt. While Islamists are frequently portrayed in the West as archconservatives who “want to return to the 7th century,” ‘Azzam saw himself and his confederates as revolutionaries, advancing a modern interpretation of Islam that could stand toe-to-toe with Western secularism or Eastern socialism. Part of ‘Azzam’s legacy is the internationalization of the Islamist movement and the authority he lent to the movement as a religious authority, something rare in militant Islamist groups.2 ‘Azzam’s recorded sermons and two influential books, Join the Caravan and The Defence of Muslim Lands, continue to receive wide circulation in Islamist circles. Born in the West Bank village of Seelet al-Hartiyeh in Palestine in 1941, ‘Azzam’s philosophy was deeply influenced by the sight of Israeli tanks entering his village unopposed in 1967. After taking a BA in Islamic law in Damascus, ‘Azzam moved to Jordan to join the Palestinian resistance to the Israeli occupation. It did not take ‘Azzam long to discover he had little in common with the largely secular and socialist Palestine Liberation Organization. After Jordanian security forces brought a sudden and violent end to the unruly Palestinian movement within Jordan in 1970, ‘Azzam continued his studies on a scholarship at the al-Azhar University in Cairo (the preeminent school of Islamic studies), completing a PhD in the Principles of Islamic Jurisprudence in 1973.3 While in Egypt, ‘Azzam became close to the family and ideas of the late leader of the Muslim Brotherhood (al-Ikhwan al-Muslimin), Sayyid Qutb (1906-66). Qutb was an important ideologue in the modern Islamist movement, and his ideas so at odds with the Arab nationalism of Egyptian President Gamal Abdel Nasser that he was executed in 1966, accused (with several other Ikhwan) of plotting to overthrow the Egyptian government.4 Hassan al-Banna, the founder of the Muslim Brotherhood (assassinated 1949), had sought the Islamization of the Egyptian people before the creation of an Islamic state. Qutb went further, suggesting that “a revolutionary vanguard should first establish an Islamic state and then, from above, impose Islamization on Egyptian society and export Islamic revolutions throughout the Islamic world.”5 Qutb made the unique proposal that the existing Egyptian state could be overthrown on the grounds that it was “un-Islamic” and a promoter of modern jahiliya (ignorance of the truths of religion). and to change their fears to safety. Sayyid Qutb reinterpreted the concept of jahiliya, applying it to the expansionist non-Muslim world. This was a subtle reworking of the traditional Islamic division of the world into two spheres, dar al-Islam (the abode of Islam), and dar al-harb (the abode of conflict, i.e., an imperfect, non-Islamic social order). While a Muslim might ignore conditions in the dar al-harb, it was his duty to combat the threat posed by the jahiliya. To Qutb, jahiliya also meant the modern forces of “ignorance,” the secularism of both the Western capitalists and the Eastern communists. Soviet influence was strong in Egypt during the 1960s, but secular socialism had no more appeal to the Muslim Brothers than did secular materialism. Qutb’s own experience in the United States, as well as America’s perceived failure to support post-colonial independence movements led to Qutb’s harsh pronouncement on America’s moral legacy: “I fear that when the wheel of life has turned and the file on history is closed, America will not have contributed to anything.”9 Qutb was one of the first Muslim theorists to recognize early postwar American efforts to manipulate Islam in the interests of containing the spread of communism, a strategy that was to culminate in covert American support for the international mujahidin of ‘Abdullah ‘Azzam’s organization. During Ibn Taymiyah’s lifetime the Mamluk sultanate was constantly threatened by vast Mongol armies, which had inconveniently converted to Sunni Islam. This made it technically impossible for the Mamluk regime to call their war against the Mongols a jihad, with all the implicit ability to draw on the sultanate’s resources to a maximum. Ibn Taymiyah played an important part in legitimizing the religious aspect of the Mamluk war against the Mongols by challenging the Mongol’s understanding of Islam, pronouncing them un-Islamic in their knowledge and their practices. Declaring the Mongol leaders un-Islamic relieved the Mamluks of the injunction against fighting other Muslims, but but set a dangerous precedent that is at the heart of modern Islamist attacks on the legitimacy of national leaders in the Muslim world. Taymiyah’s inflexibility on religious matters would inspire both Qutb and ‘Azzam in their own challenges to the governing structures of the Islamic world. Ibn Taymiyah has since been cited extensively by bin Laden as the inspiration for the jihad against corrupt regimes, such as the Saudi monarchy.17 In this case bin Laden follows the examples of two radical Egyptian Islamists, Shukri Mustafa and Muhammad ‘Abd al-Salam Faraj, both of whom drew heavily on Ibn Taymiyah and his modern popularizer, Sayyid Qutb.18 At his trial for the 1977 murder of a former minister of Religious Affairs, Shukri Mustafa gave lengthy explanations of Ibn Taymiyah’s thought (which did not prevent his conviction and execution by Egyptian authorities). Muhammad ‘Abd al-Salam Faraj, the ideologue of the radical Egyptian Tanzim al-jihad group, was executed for his role in the 1981 assassination of President Sadat. Faraj wrote a defence of the actions of Tanzim al-jihad entitled Al-farida al-gha’iba (The Neglected Duty).19 Intended only for internal distribution among Islamists, Faraj’s work became highly influential in the Islamist network despite its many shortcomings as a work of Islamic scholarship. An examination of ‘Abdullah ‘Azzam’s works suggests that the jihad scholar was well acquainted with The Neglected Duty. It is a common misperception in the West that Islamists are arch-conservatives in matters of law and religion; to the contrary, their belief in constant and even creative use of ijtihad (within certain restrictions) places them outside the Sunni mainstream and in opposition to not only the modernizing forces in Islam that emphasize the flexibility of the Shari’a, but also to the traditionalists who adhere to the importance of rigid observance of early interpretations of Islam. Like many modern Islamic reformers, ‘Azzam focused his interpretation of Islam on the concept of tawhid, the oneness of God. While the concept is universal in Islam, the reformers take it upon themselves to eliminate any threats to tawhid, especially the idea that there can be any intercession between man and God. Attempts to establish a mode of intercession are condemned as shirk (literally “association,” associating others with God in such a way as would threaten His absolute uniqueness). Such intercession may take the form of veneration of saints, shaykhs, imams, and even the Prophet Muhammad. Also condemned are pilgrimages to shrines or the tombs of saints, the wearing of amulets (usually inscribed with quotations from the Koran), and most aspects of Shi’ite religious observance. In doing so, the reformers find themselves opposed to the modes of worship followed by most Muslims in one form or another. The austerity and discipline of the Islamists therefore has little appeal to most stable and prosperous Muslim communities, but takes on a vital importance to communities in strife or perpetual economic disadvantage. In Chechnya, for example, radical Islamists have found fertile ground for their reform message, succeeding in having Shari’a declared state law following the defeat of Russian forces in 1996. Islamist discipline has proved a major factor in the success of some Chechen field commands in almost constant combat with Russian units. After completing his studies in Egypt, ‘Azzam returned to Palestine to fight the occupation, but was disgusted by the lax morals and inattention to religious observance of the largely secular and socialist Palestine Liberation Organization. The Saudis offered a teaching position at King ‘Abdul-‘Aziz University in Jeddah, and ‘Azzam remained there until the Soviet invasion of Afghanistan in 1979. It was at Jeddah that ‘Azzam first met a young and impressionable Osama bin Laden. While Cairo’s Al-Azhar University was essentially a conservative institution that preached cooperation between the state and the ulama, ‘Abdul-‘Aziz University was a hotbed of uncompromising approaches to the establishment and conduct of an Islamic state, bred in an atmosphere of puritanical Wahhabism. In 1979, ‘Azzam determined it was time to put his principles into action and moved with his family to Islamabad in Pakistan. In Islamabad ‘Azzam would get to know the leaders of the anti-communist Afghan jihad while supporting himself as a lecturer at the International Islamic University. 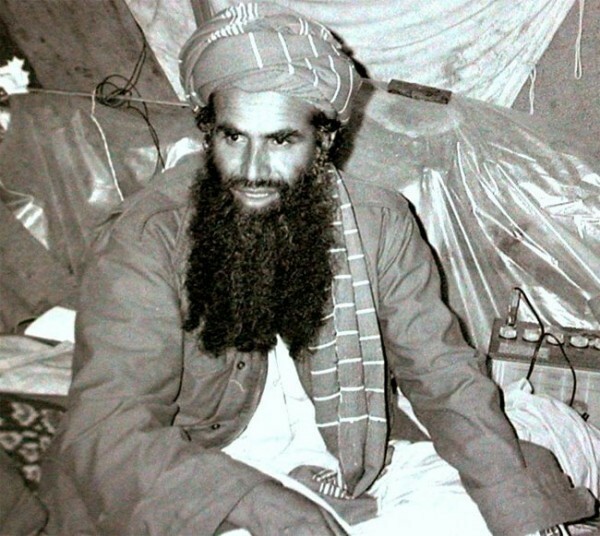 Before long ‘Azzam was involved in the jihad full-time, being one of the first Arabs to join the Afghan mujahidin. After founding the Mukhtab al-Khidmat, ‘Azzam became close to Gulbuddin Hekmatyar, leader of the Afghan Hizb-i Islami party, and a severe Islamic conservative who sought to eliminate traditional Islam within Afghanistan. Like most leading Islamists, Hekmatyar was a professional rather than an imam, and is referred to (in Central Asian fashion) as “Engineer Hekmatyar.” While receiving funding from Libya and Iran, Hekmatyar remained the leading recipient of American military aid via the increasingly Islamist Pakistani Inter-Services Intelligence (ISI). Hekmatyar preferred to conserve his precious American arms and munitions in Pakistan while his political rivals, such as Tajik Islamist Burhanuddin Rabbani, exhausted themselves fighting the Soviets. The Saudi intelligence service under Prince Turki ibn Faisal avoided funding the Tajik Islamists, as it was feared that the Persian-speaking Tajiks might align themselves with Saudi Arabia’s Shi’ite rival, Iran.39 Both Hekmatyar’s and Rabbani’s political movements were called Hizb-i Islami. In his seminal work on the necessity of armed jihad, Join the Caravan (Ilhaq bil-Qafilah), ‘Azzam described both the legal obligations and practical considerations surrounding the concept of jihad. The conditions upon which jihad becomes fard ‘ayn (individually obligatory) are outlined in an unambiguous fashion. jihad becomes fard ‘ayn when disbelievers enter the land of the Muslims. This condition thus makes jihad currently obligatory for every Muslim until the disbelievers are driven from Muslim lands. “It remains fard ‘ayn continuously until every piece of land that was once Islamic is regained.” It was acknowledged that this was a different situation than that which prevailed in the time of the Prophet’s immediate successors, when jihad was fard kifayah (a community obligation, not binding on individuals), since the Muslims were still embarking on new conquests. ‘Azzam stated that when jihad becomes individually obligatory there is no difference between it and the obligations of fasting and prayer. jihad means only combat with weapons and is a lifetime obligation that cannot be relieved through the mere donation of money. ‘Azzam turned against the Pakistanis in 1989, when it became apparent that manipulations by the ISI were causing heavy casualties among the mujahidin, particularly in the ISI-engineered siege of Jalalabad. The ISI was encouraging frontal assaults (of the type discredited in 1914) against reinforced communist positions supported by the Afghan air force. These tactics were a fatal break from the proven hit-and-run guerrilla attacks favored by the mujahidin.58 Some, like ‘Azzam, believed that with the imminent departure of the Russians from Afghanistan, the ISI was seeking to eliminate those factions of the resistance that were not under their control. During the summer of 1989, ‘Azzam attempted to mediate in the dispute between Ahmad Shah Massoud’s group and Hekmatyar, always returning to the need for unity among the mujahidin. Later that year a large quantity of explosives was placed beneath the minbar (pulpit) of the mosque in which ‘Azzam gave the Friday sermon. The explosives failed to detonate during the service (which would have killed hundreds), but ‘Azzam’s enemies were not deterred. On 24 November 1989, a powerful bomb was planted along the narrow road that ‘Azzam habitually took to the mosque on Fridays. The blast ripped through ‘Azzam’s car, killing him, his two sons, and a young passenger. There were allegations that ‘Azzam’s assassination was undertaken by Burhanuddin Rabbani’s Hizb-i Islami, but to date no one has ever claimed responsibility for the attack. The list of suspects was long, and included the CIA, the ISI, the KGB, Israel’s Mossad, and Afghanistan’s own brutal security service, KHAD. An Israeli source cited rumours, “that have consistently linked Osama Bin Laden to ‘Azzam’s assassination.”59 Bin Laden is alleged to have become angered at ‘Azzam’s plan to ship arms to Hekmatyar’s enemy, Ahmad Massoud. Bin Laden took control of ‘Azzam’s organization, recreating it as al-Qaeda (“The Base”), a much more secretive group with narrower aims than al-Makhtab. With its almost exclusive focus on the removal of American troops from Saudi Arabia, al-Qaeda became more of an ideological throwback to earlier state-centred Islamist movements rather than the international movement envisioned by ‘Azzam. Cassette tapes of ‘Azzam’s speeches have circulated throughout the Middle East and Central Asia since his death. Until recently ‘Azzam’s thought has been propagated worldwide by a popular web-site, http://www.azzam.com (the site has suffered numerous disruptions since the events of 11 September 2001). In the West some radical preachers have taken up ‘Azzam’s call for hijrah as a first step in an international jihad. In Central Asia the Hizb ut-Tahrir movement has taken up the call for a revived Caliphate, to the considerable alarm of the ex-communist rulers of the region. This work is dedicated first to Allah, then to you. While the encyclopedia is anonymous, it is known that Abu Bakr Aqidah, a one-legged Egyptian veteran of international jihad movements, wrote the volume on explosives. The mujahid spent two years as an instructor in one of ‘Azzam’s military training camps. Abu Bakr also completed a widely distributed manual on “Operational Tactics and Effectiveness,” based on the operations of the Chechen guerrillas. Abu Bakr was eventually killed in a daring raid on a Russian tank base in Daghestan in January 1997. The raid was led from Chechnya by the late Ibn al-Khattab (real name Samir bin-Salih bin-‘Abdallah al-Suwaylim), a Saudi-born veteran of Islamist guerrilla groups in Afghanistan and Tajikistan.63 Both men were typical of the ‘Azzam-inspired Arab volunteers who were willing to travel to the far-flung frontiers of Islam to give their lives for the cause of jihad. There is an extensive literature on the concept of jihad. Useful works in English include R. Peters, Islam and Colonialism: The Doctrine of jihad in Modern History (The Hague: Mouton De Gruyter, 1979); S.A. Schleifer, “Understanding jihad: Definition and Methodology,” Islamic Quarterly 27, no. 3 (1983), pp. 117-32; and “jihad and the traditional Islamic consciousness,” Islamic Quarterly 27, no.4 (1983), pp. 173-203. Radical Islamist movements are rarely led by religious scholars, consisting for the most part of professionals, such as engineers and doctors. “An important implication of the Islamist power model is that it excludes the ‘ulama (religious scholars) as an intermediary authority (between God and the head-of-state). The argument here is that the basic principles of Islam have been rendered unalterable and that no authority, whether secular or religious, is in a position to subvert or circumvent them — in other words, the prerogatives of the religious authorities in Islam are very limited.” Asta Olesen, Islam and Politics in Afghanistan (Richmond, Surrey: Curzon, 1995), p. 242. While al-Azhar’s senior faculty is closely watched by the Egyptian government, the student body of Egyptian and international students has frequently become involved in extreme Islamist politics. Steven Barraclough, “Al-Azhar: Between the government and the Islamists,” Middle East Journal 52, no.2 (Spring 1998), p. 239. Qutb and other members of the Ikhwan provided vital assistance to the “Free Officers Movement” in their revolution, expecting to play a major (if not definitive) role in the new government. Nasser betrayed the brothers, offering Qutb only a minor position as deputy minister of Education. See Helmi el-Namnam, Sayyid Qutb wa Thawrat Yulyou (Sayyid Qutb and the July Revolution) (Cairo: Meret for Publication and Information, 1999). After his execution Qutb was buried in a hidden and unmarked grave by the Egyptian government. Mir Zohair Husain, Global Islamic Politics (New York: HarperCollins, 1995), p. 15. The idea of an Islamic revolutionary vanguard was also developed by Mawlana Abul A’la Maududi in his work, Process of Islamic Revolution (Lahore: 1955), pp. 37-55. Muhammad Rashid Rida, Tafsir al-Qur’an al-hakim (Cairo: 1346-54AH (1927-35)), I, p. 170. Muhammad ‘Abduh’s lectures and writings were collected and added to by Rashid Rida, and published as a great multi-volume commentary (never finished) on the Koran, popularly called Tasfir al-Manar, after the name of Rida’s journal. Albert Hourani, Arabic Thought in the Liberal Age, 1798-1939 (Cambridge: Cambridge University Press, 1983), p. 38. Jahiliya may also refer to “the age of ignorance,” i.e., pre- Islamic times. Emmanuel Sivan, “Ibn Taymiyya: Father of the Islamic Revolution: Medieval Theology and Modern Politics,” Encounter 60, no. 5 (May 1983), p. 45. Qutb had been sent on a study mission to the United States in 1948-50 that was expected to moderate his opposition to the West. Instead, it confirmed Qutb’s vision of the United States as the embodiment of the modern jahiliya, a nation lacking a moral conscience (damir). See John Calvert, “‘The World is an undutiful boy!’: Sayyid Qutb’s American Experience,” Islam and Christian-Muslim Relations 11, no. 1 (2000), pp. 87-103. Sayyid Qutb, “Amrika allati ra’ayt fi mizan al-insaniyya,” Al-Risala, no. 957 (1951), pp. 1245-6, cited in Calvert, “The World is an undutiful boy,” p. 100. Quoted in Abd al-Moneir Said Aly and Manfred W. Wenner, “Modern Islamic reform movements: The Muslim Brotherhood in contemporary Egypt,” Middle East Journal 36, no. 3 (Summer 1982), p. 340. The slogan of the Muslim Brothers was ‘Al-islam din wa’dawlah’ (Islam is a religion and a state). Sayyid Qutb, “Paving the Way,” 24 November 2001, Internet source: http://www.islam.org.au/articles/23/qutb.htm, taken from Nida’ul Islam, no. 23 (April-May, 1998). S.M.A. Sayeed, The Myth of Authenticity (A Study in Islamic Fundamentalism) (Karachi: Royal Book Co., 1995), pp. 151-2. Gilles Kepel, Muslim Extremism in Egypt: The Prophet and the Pharaoh (London: Saqi Books, 1985), p. 101. The Kharajites (Ar. : khawarij, ‘outsiders’) were a seventh century sectarian movement that favoured the establishment of a theocracy in preference to violent struggles for leadership in the Islamic community. Under the slogan “No government but God’s,” they were defeated on the battlefield but adopted a campaign of political assassinations, on the grounds that the ruling Ummayad dynasty were not true Muslims. Useful works on Qutb include Yvonne Haddad, “Sayyid Qutb: Ideologue of Islamic Revival,” in John Esposito, ed., Voices of Resurgent Islam (New York: Oxford University Press, 1983); Gilles Kepel, Muslim Extremism in Egypt: The Prophet and the Pharaoh (London: Saqi Books, 1985); Olivier Carré, Mystique et politique: lecture révolutionnaire du Coran par Sayyid Qutb, frère musulman radical (Paris: Editions du Cerf, 1984); Ahmad Mousalli, Radical Islamic Fundamentalism: The Ideological and Political Discourse of Sayyid Qutb (Beirut: American University of Beirut, 1992). 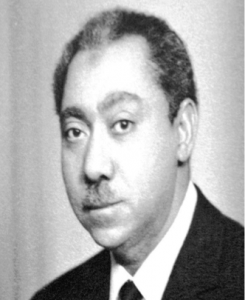 Qutb’s work became known in Afghanistan after Mawlawi Younos Khales translated and published Islam wa edalat-i ijtemai (Islam and Social Justice) in 1960. Ex-Afghan president and leader of the Jami’at al-islami party Burhanuddin Rabbani translated several of Qutb’s works while studying at al-Azhar University in Cairo (1966-68). The Jami’ati Islami party journal Misaq-i Khun would later publish many translations of works by the Egyptian Muslim Brothers. Qutb’s advocacy of violent jihad may be contrasted to the “intellectual jihad” pursued by his Indian-born contemporary, Fazlur Rahman (1919-88), who also sought to reopen “the gates of ijtihad.” “The intellectual endeavour, or jihad, including the intellectual elements of both the moments — past and present — is technically called ijtihad, which means ‘the effort to understand the meaning of a relevant text or precedent in the past, containing a rule, and to alter that rule by extending or restricting or otherwise modifying it in such a manner that a new situation can be subsumed under it by a new solution. '” Fazlur Rahman, Islam and Modernity: Transformation of an Intellectual Tradition (Chicago, IL: University of Chicago Press, 1982), pp. 6-7. Rahman was a lecturer at McGill University’s Institute of Islamic Studies in the 1950s. Sayyid Qutb, Islam: The Religion of the Future (Al-mustaqbal li-hadha al-din), (Delhi: Markazi Maktaba Islami, Delhi, 1974) (Written in 1960). Osama bin Laden, I’lan al-jihad ‘ala al-Amrikiyyin al-Muhtalin li Bilad al-Haramayn (Declaration of War against the Americans Who Occupy the Land of the Two Mosques) (Afghanistan, 23 August 1996). The 1970s saw a proliferation of radical Islamist groups in Egypt, inspired by the works of Sayyid Qutb, Ibn Taymiyah, and Indian/Pakistani ideologue Mawlana Abul A’la Maududi (1903-79). The radicals were dismayed by the defeat of the Arab allies in the 1967 war with Israel (which also marked the death of secular Arab nationalism as an inspirational political movement). The new Islamist groups included Munazzamat al-Tahrir al-Islami (Islamic Liberation Organization), Jama’at al-Muslimin (Association of Muslims, often better known as Takfir wa’l Hijrah [Denouncement and Holy Flight]), and Munazzamat al-jihad (Holy Struggle Organization). These groups were eventually joined by the powerful al-Gama’a Islamiyya (Islamic Group), responsible for the 1993 attack on the World Trade Center. A complete translation of this work can be found in J.G. Jansen, The Creed of Sadat’s Assassins and Islamic Resurgence in the Middle East (New York: MacMillan, 1986), pp. 159-230. Maududi was greatly admired by Qutb, who appears to have been influenced by Maududi’s conception of Islam as a revolutionary force. As Maududi expressed it in 1926, “Islam is a revolutionary ideology and program which seeks to alter the social order of the whole world and rebuild it in conformity with its tenets and ideals,” A.A. Maududi, jihad in Islam (Beirut: Holy Koran Publishing House, 1980), p. 5. Ibn Kathir, Tafsir (Cairo: n.d.), vol. 2, p. 67. Muhammad ‘Abd al-Salam Faraj, Al-farida al-gha’iba, in Jansen, The Creed of Sadat’s Assassins, pp. 192-93, §68. Jadd al-Haqq ‘Ali Jadd al-Haqq, et. al., Al-fatawa al-islamiyah 10/31 (Cairo: 1983), p. 3733. Al-Haqq was Shaykh of al-Azhar from 1982 until his death in 1996. Al-Haqq’s condemnation of Egyptian Islamist groups did not include the Muslim Brothers, who ceased to advocate violence in the transition to a fully Islamic society following their failed assassination attempt on Nasser. “The debate about takfir, that is, declaring a Muslim to be an unbeliever, is the watershed between moderate and radical Islamism. If takfir is religiously lawful, then violence and revolution are religious duties. For radical Islamists, one should kill a ruler who claims to be a Muslim but does not rule according to Islam.” Olivier Roy, Afghanistan: From Holy War to Civil War (Princeton, NJ: Darwin Press, 1995), p. 37. Jadd al-Haqq, et. al., Al-Fatawa al-islamiyah, p. 3733. Mohammed Arkoun, “The Topicality of the Problem of the Person in Islamic Thought,” International Social Science Journal no. 117 (August 1988), p. 417. Many radical Islamists reject the authority of the four traditional schools of Islamic jurisprudence altogether. ‘Abdullah ‘Azzam, Internet source: >http://www.exboard.com, http://pub63.ezboard.com/fyoungmuslimsfrm4.showMessage?topicID=30.topic, p. 4, (11/7/01), — originally on http://www.azzam.com, now suspended from the web. Abdullah ‘Azzam, Ilhaq bil-Qafilah (Join the Caravan), Conclusion, at http://www.religioscope.com/info/doc/jihad/azzam/caravan_6_conclusion.htm. Radical Islamists believe that no legitimate Islamic state has existed since the time of the Prophet and the Four Rightly Guided Caliphs (634-661 AD), Muhammad’s four immediate successors (Abu Bakr, ‘Umar, ‘Uthman, and ‘Ali). Shaykh ‘Abdullah ‘Azzam on Jihad, Internet source: http://calvin.usc.edu/~jnawaz/ISLAM/JIHAAD/Azzam.Jihad.html, (11-15-01). Muhammad ‘Abd al-Salam Faraj, “Al-Farida al-Gha’iba,” in Jansen, The Creed of Sadat’s Assassins, p. 167. ‘Abdullah ‘Azzam, Ilhaq bil-Qafilah (Join the Caravan), Part Three, Internet source: http://www.soa.uc.edu/org/msa/mssn/joinaa.html. ‘Abdullah ‘Azzam, Internet source: http://pub63.ezboard.com/fyoungmuslimsfrm4.showMessage?topicID=30.topic, p. 4, (7 November 2001). See Ahmed Rashid, Taliban: Militant Islam, Oil and Fundamentalism in Central Asia (New Haven, CT: Yale University Press, 2000), p. 131. ‘Azzam, Ilhaq bil-Qafilah (Join the Caravan), Part Three. Michael Griffin, Reaping the Whirlwind: The Taliban Movement in Afghanistan (London: Pluto Press, 2001), pp. 24-26, 136-37. On the Wahhabi movement in Afghanistan, see Saiyid Athar Abbas Rizvi, Shah ‘Abd Al- Aziz: Puritanism, Sectarianism, Polemics and Jihad (Australia: Ma’rifat Publishing House, 1992). Sayyaf was a nominal member of the Northern Alliance in Afghanistan, but his field commanders did little fighting against the Taliban in 2001-02. Sayyaf is suspected by some of having a hand in the assassination of Tajik commander Ahmad Shah Massoud in September 2001. Sayyaf vouched for the assassins (posing as Algerian journalists) before they arrived in Massoud’s camp. Sheikh ‘Abdullah ‘Azzam, “Martyrs: The building blocks of nations,” Extracts from the lectures of Sheikh ‘Abdullah ‘Azzam titled “Will of the Shaheed” and “A Message from the Shaheed Sheikh to the Scholars,” Internet source: http://www.azzam.com (29 January 2003). “Shaykh ‘Abdullah ‘Azzam on jihad,” Internet source: http://calvin.usc.edu/~jnawaz/ISLAM/JIHAAD/Azzam.Jihad.html (15 November 2001). The four schools of Islamic jurisprudence are all named for their founders: first, Hanafite (Abu Hanifa, d.767), found in Afghanistan, India, China, Turkey, and other ex-Ottoman territories; second, Malikite (Imam Malik, d. 795), found in Arabia, Upper Egypt, Sudan, West Africa, and parts of North Africa; third, Shafi’ite (Imam al-Shaf’I), found in Syria, South Arabia, Lower Egypt, Malaysia, East Africa, and Indonesia; fourth, Hanbalite (Imam Ibn Hanbal, d. 855), found almost exclusively in Arabia, where it has become closely linked to the Wahhabist movement. (Ibn Taymiyah was a member of the Hanbalite school, whose founder urged obedience to the government). ‘Azzam warned incoming mujahidin that the Afghans knew only the Hanafi school, and were likely to regard anything else as un-Islamic. ‘Abdullah ‘Azzam, Ilhaq bil-Qafilah (Join the Caravan), Part Two, Internet source: http://www.soa.uc.edu/org/msa/mssn/joinaa.html. ‘Azzam believed that women could assist in the jihad through nursing, education, and assisting refugees, but must be accompanied by a nonmarriageable male guardian. For example, see, “Shaykh ‘Abdullah ‘Azzam on Jihad,” Internet source: http://calvin.usc.edu/~jnawaz/ISLAM/JIHAAD/Azzam.Jihad.html, (15 November 2001). Yaseen Noorani, “The Lost Garden of al-Andalus,” International Journal of Middle East Studies 31, no. 2 (May 1999), p. 239. ‘Azzam, Ilhaq bil-Qalifah (Join the Caravan), Conclusion. Olesen notes that al-Banna himself retained a respect for early Sufist thought, but “among his followers there was a widespread revulsion and contempt for Sufism, which was considered a phenomenon of Greek-Hindu origin with no relation to Islam. The rejection of Sufism was not only doctrinal, but also rooted in the activist strategy of the Ikhwan, as Sufism was seen as drugging the masses, inspiring them to a spiritual withdrawal from life, being useless members of society and thus forming an obstacle to progress.” Olesen, Islam and Politics in Afghanistan, p. 248. ‘Azzam, Illhaqbil-Qalifah (Join the Caravan), Conclusion. Muhammad ‘Abd al-Salam Faraj, Al-Farida al-Ghaiba, in Jansen, The Creed of Sadat’s Assassins, p. 201, §88. Steven Emerson, American Jihad: The Terrorists Living Among Us (New York: Free Press, 2002), p. 130. The ethnic-Arab Atlantic Avenue area of Brooklyn was host to several Islamist mosques and organizations, including the Al-Kifah Afghan Refugee Center, an important conduit for recruiting and fundraising. ‘Abdullah ‘Azzam, Internet source: http://www.ezboard.com, http://pub63.ezboard.com/fyoungmuslimsfrm4.showMessage?topiciD=30.topic, p. 4 (7 November 2001). Emerson, American Jihad, p. 131. General Hamed Gul, Director General of Pakistan’s Directorate of Inter-Service Intelligence (ISI) was removed from his post after the failure of the siege of Jalalabad. Gul had actually spoken out against an attack made without air cover, anti-aircraft guns, or artillery. See Edgar O’Ballance, Afghan Wars 1839-1992: What Britain Gave Up and the Soviet Union Lost (London: Brassey’s, 1993), p. 202. Yoni Fighel, International Policy Institute for Counter-Terrorism (ICT), 27 September 2001, Internet source: http://www.ict.org.il/articles/articledet.ctm?articleid=388, (7 November 2001). Interview with Abu ‘Abd al-‘Aziz, Al-Sirat Al-Mustaqeem (The Straight Path), no. 33, (Aug. 1994), Pakistan. At the time of the interview, al-‘Aziz’s command was integrated with the 7th Battalion of the Bosnian Army. The mujahid was eventually imprisoned by the Saudis. Reuel Marc Gerecht, “The Terrorists’ Encyclopedia,” Middle East Quarterly (Summer 2001), p. 81. Gerecht was a CIA agent from 1985 to 1994. See “Communique from Emir Khattab, Mujahideen attack Russian base in Dagestan,” (Parts 1- 2), Azzam Publications, MSA News, 29 December 1997, Internet source: http://msanews.mynet.net/MSANEWS/199712/19971228.1.html, (19 August 1999). Hamid Mir, quoted in: Scott Balduf, “The ‘Cave-Man’ and al-Qaeda,” Christian Science Monitor (31 October 2001).